Curves Aptos is more than just a fitness center – it’s a community of women united in the goal to live a happy, healthy and active lifestyle. A Curves membership is much different than just joining a gym. At Curves Aptos, members receive the help and support they need to reach their health and weight loss goals – and to maintain a healthy lifestyle. 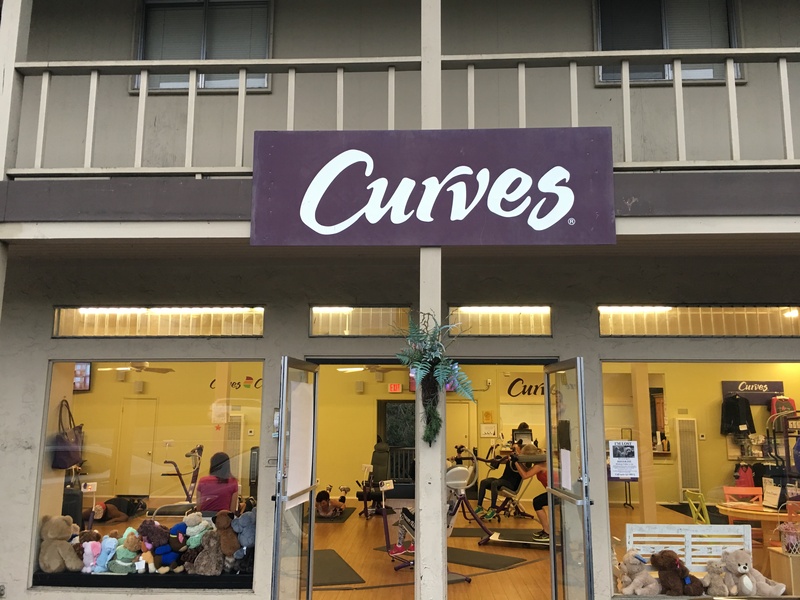 Curves Aptos is run by Janna Malizia, who is completely dedicated to the business of helping women in the Aptos community achieve levels of fitness they might not have thought possible. This is true no matter your age; the Curves of today serves women of all ages, from young women in their late teens to mature adult ladies and seniors. The Curves program focuses on building lean muscle during their high intensity 30 minute workouts. Members are free to come to as many Curves sessions as they like. It’s circuit training, with a special Curves twist. Every member has a coach, who will teach proper form and challenge members to take it up a notch – when they’re ready. The weight machines are all double-resistance hydraulic machines, and your workout on each machine is recorded with the proprietary Curves Smart system. The results are constantly analyzed and your machine makes adjustments automatically to help you meet your goals. And don’t think that Curves is just about resistance training with machines. Members are encouraged to participate in as many classes as they want. They offer cardio boxing, boxing combo, cardio jam, body blast, body basic, arms +, balance, yoga chisel and PowerFlex. These classes are what creates options for all levels of fitness, all ages and cross-trainings. With all that Curves has to offer, you’ll never plateau in your training. And while you can come as much as you want, if your resolve weakens and your participation drops, you’ll get the support you need. You see, at Curves Aptos, they care about their members, and members who don’t show up can expect an encouraging phone call to get them back into the center, and back on track for their lifestyle goals. Curves Aptos is all about getting lean, healthy, and staying that way. But it’s also about having fun with women just like you who share the same goals as you. Seascape Village Fitness is a family-owned and operated business located in the Seascape Village Shopping Center. This is not your typical gym or health club; rather, they are dedicated towards helping you identify and pursue your own personal path to a sustainable fitness regimen. They emphasize a team approach to help motivate you to regain and maintain an active and productive lifestyle. They were honored in 2014 to receive the Good Times Magazine award for being the best fitness club in Aptos. They offer a range of training plans, including personal one-on-one fitness training, semi-private personal training, weekly group team training, nutrition and weight loss support program, massage therapy, physical therapy, and much more! These folks are here to help you with the personal support you will need to reach your fitness goals; you won’t be left to wonder what you should be doing to get there. The business is run by Jim and Kathy Tucker, along with their daughter Erin and a team of dedicated health and fitness professionals. If you’re looking for a way to get healthy and fit – and stay that way – stop on by and check them out. They do offer a trial membership so you can get an idea of what they have to offer without a long-term commitment.